It’s not an overstatement to say The Lost Diggers is a publishing phenomenon. This collection of photographs and stories of World War I soldiers could not have been realised without a blend of century-old technology and modern social media. The photographs are part of a collection of about 4,000 images taken by a French couple, Louis and Antoinette Thuillier, who realised they could make money out of the stream of Allied soldiers who passed through or rested at their village of Vignacourt, just behind the front line in north-western France. The Thuilliers set up a scrolled backdrop, posed their subjects in front and in minutes produced quick prints through a dry light-exposure method. Most of the prints would have faded over the ensuing decades, but the original images were preserved in astonishing detail on glass slides. The slides were dumped in an attic after the war and forgotten for 70 years until a French antiques dealer, Laurent Mirouze, discovered their existence after hearing of high-quality photographs of Australian soldiers on the wall of a council building in Vignacourt. Long story short: A family rift among Thuillier descendants kept the slides’ location secret. Twenty years ago, Mirouze contacted the Australian Embassy in Paris, who, weirdly, weren’t interested. Others got wind of the trove and a historian from the Australian War Memorial searched without success. Then in 2010, more pictures surfaced in a British newspaper. This piqued the interest of Channel Seven’s Sunday Night team and their efforts won over the family. The slides, along with the original backdrop, were eventually bought with the help of Seven’s Kerry Stokes, and now a selection are on show at the Australian War Memorial. When the TV show posted the unidentified images on their website and Facebook page, social media went berserk, with millions of hits from around the world. Now, many of the Diggers have been identified, in part because of the clarity of the images. Despite lying abandoned in a barn attic, subject to heat, dust and freezing winters, the glass slides are in near perfect condition. And thanks to modern processes, crystal-sharp images were taken off them. The slides are so sharp that researchers have been able to zoom right in on tiny shoulder patches, and even onto dispatch riders’ maps, to identify units and places. And so what do the pictures tell us, the 21st century viewer? It’s tempting to wax on about the terror and trauma in the faces of these young men standing in the Thuillier’s barn, staring into the camera with the mud of the trenches still on their boots and hands. And yes, the exhaustion is there, and in a very few cases there is shock beyond belief. But it’s the very ordinariness of the men that gets you. Forget the jingoistic rubbish about bronzed supermen. We’re looking at unremarkable clerks, farm boys, teachers, dockworkers. And then you dwell on a photo of a young man with sloping shoulders and a mild face, and you see that pinned to his ill-fitting tunic is a ribbon. And the book tells you that he got it for saving a comrade under fire, or he charged a machine gun nest. That’s when it hits home. That’s when the glorification of war is obscene. When you realise that time and time again we demand that young men put down their pens, their tools, their books, their children, and go out and do unspeakable acts in the name of national self-interest. Ross Coulthart is attending the Byron Bay Writers’ Festival and is on the panel for the event, “Living history: illuminating the present through the past”. At the Byron Bay Writers’ Festival 1:15pm on Friday, 2nd August! Click here to read the program. 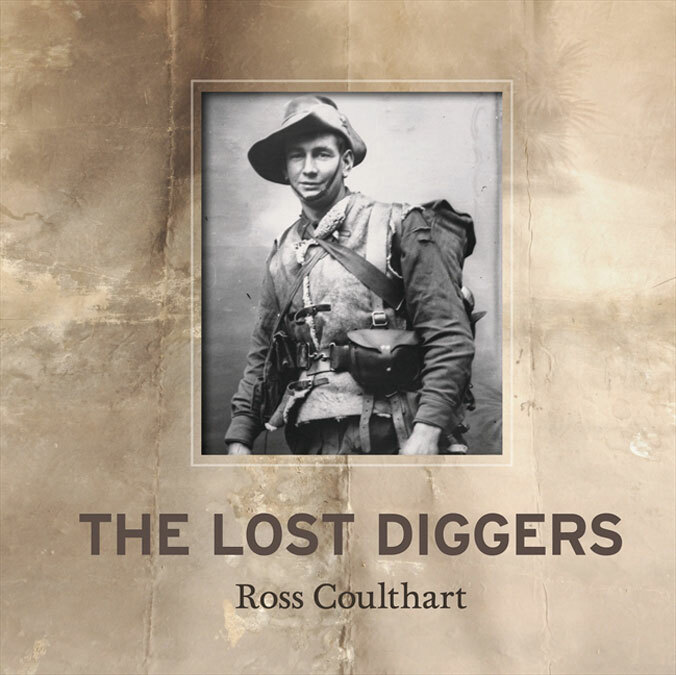 Ross Coulthart told Inside History magazine the story of his Lost Diggers search in our Issue 13: Nov-Dec 2012 edition. Click here for more information.